Are you stressed and looking for an affordable spa in Singapore? We are just here to give you a heavenly experience. The Thai Spa has trained therapists who know the technique perfectly and assures good massage in Singapore. Thai spa relieves muscle tension and soreness, increases blood circulation, lowers blood pressure and also helps detoxification of the body and boosts immune system. The benefits are too many and if you are looking for good thai massage in Singapore, come to us! 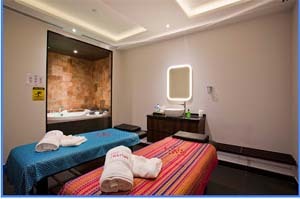 We are thai massage spa in Singapore who are specialists in many kinds of spa massage techniques. Trust us and get a memorable spa experience.